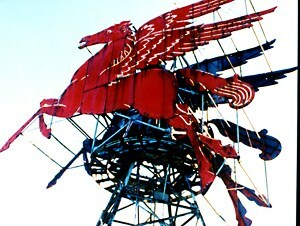 The flying red horse that once was the tallest thing in Dallas when it sat atop the Magnolia Petroleum Building. I was 14 years old when I saw my first mountain. It was instant love. I was born in Dallas, Texas, when the tallest thing for miles around was the flying red horse atop the 29-story Magnolia Petroleum Building, which at the time was the tallest building west of the Mississippi. I was probably never more than 35 miles from that horse until I was invited to take a vacation to California with my aunt and uncle who wanted me along to babysit their 2-year-old daughter. I still remember the exciting, albeit hot, August ride across the desert on Highway 66 in a brand new red and white Oldsmobile – with my uncle’s heavy foot on the accelerator pushing it to do 100. But it was the mountain views in Sequoia National Park that stole my heart away. I think I knew then that someday I would live in the mountains. After one failed experience of doing so, and after my family had fractured and I was left as a single mother to only my youngest child, I got a second chance. I had an offer in 1979 to become features editor at the Standard-Examiner, a 65,000 circulation daily newspaper in Ogden, Utah. To accept meant leaving my job at the 250,000 circulation Fort Worth Star-Telegram, which tempted me with better career options. The mountains, however, wooed me and won. 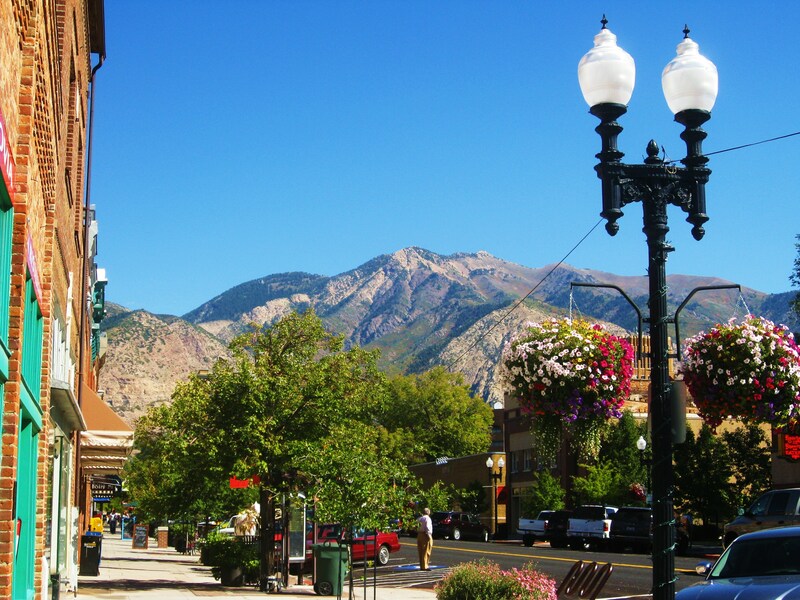 Ogden sits at the base of 9,570-foot Mount Ogden to the east – where all the downhill events for the 2002 Winter Olympics were held. To its north sits 9,712-foot Mount Ben Lomond, the inspiration for the Paramount Pictures logo. Ogden, with its diversified population, artsy attitude, large university and its myriad outdoor opportunities, fit me like a pair of well-worn bicycle shorts. While I have no regrets for selling my home and becoming an on-the-road gypsy, I rejoice every time I go back; and my first glimpse of its Wasatch Mountain landscape almost always brings tears to my eyes. preferred residence of choice for non-Mormons, whom they called gentiles. The city’s history is colorful with tales of rowdy houses, underground opium dens (not true) and cat houses (true), all visited by tourists traveling West by train. Today it’s more gentrified, but still retains the charm of its reputation. 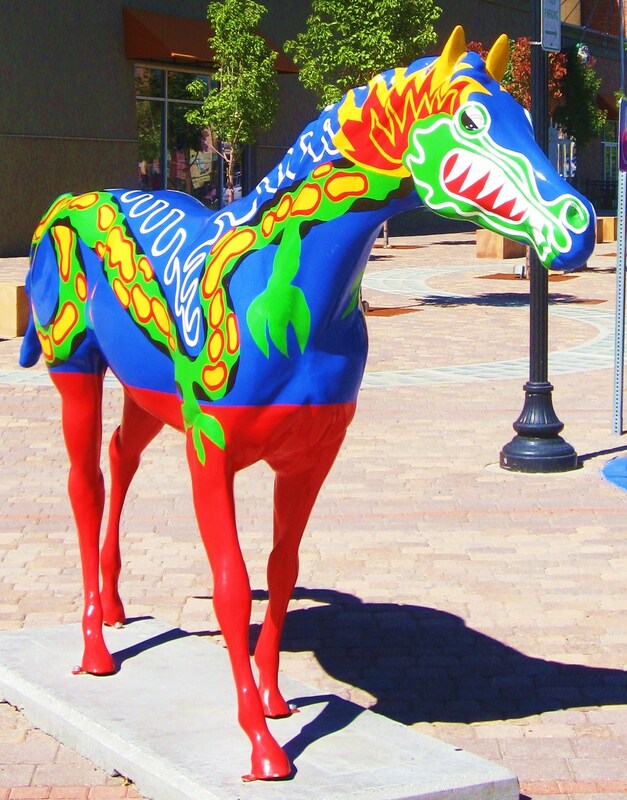 During my recent visit here, I was fascinated by the new influx of gaily painted horses that line the streets by the dozen. For some reason they made me think of the red flying horse I grew up with. 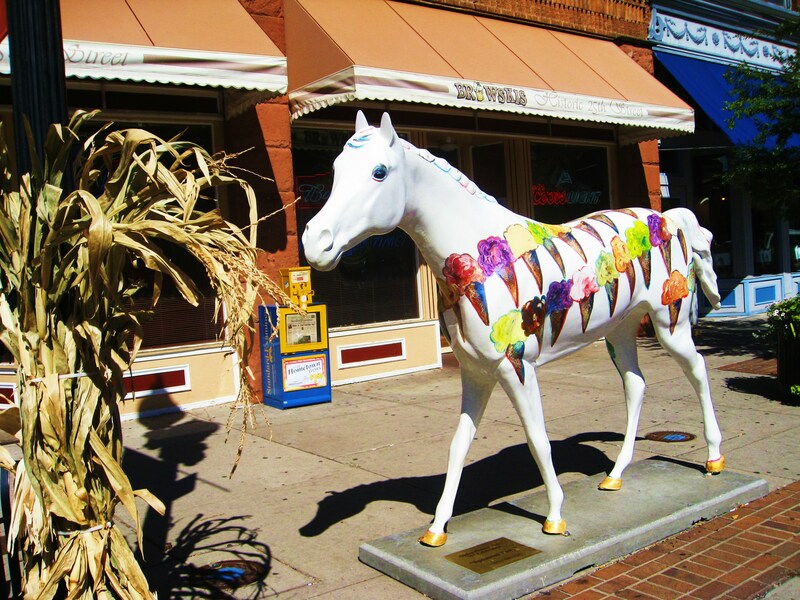 That horse is now stabled at Dallas’ Farmer’s Market, while Ogden’s horses prance down the city’s 25th Street and elsewhere through this town that recently made my MSN homepage’s list of America’s most beautiful cities. It made me laugh to think of all the joys and sorrows of life I had survived between a single red horse and a herd of rainbow colored nags.